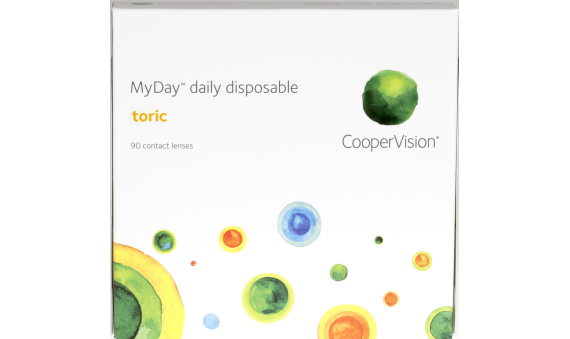 MyDay® Toric is Cooper Vision's latest innovation in contact lenses. These lenses are designed to provide exceptional vision quality with unmatched comfort. The Optimized Toric Lens Geometry™ is great for contact lens wearers with astigmatism. 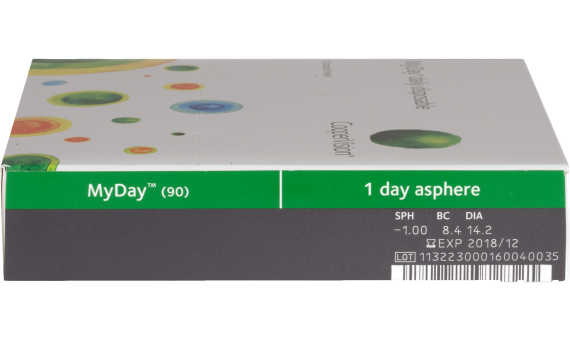 This technology helps reduce lens rotation and improves lens stability particularly helpful to toric lens wearers. The lenses are made of silicone hydrogel and use the new Smart Silicone™ chemistry which allows for even more oxygen to reach the eye. MyDay® Toric have built-in UVA and UVB protection in each daily lens.